Student media outlets at the University of Sheffield have launched a petition to save their facilities after it emerged that their Student’s Union is planning to remove half of their space as part of a reorganisation to create more offices for staff. The Media Hub, which was funded by money donated by University of Sheffield alumni for the sole purpose of giving a voice to student journalists, is shared between the Forge Press newspaper, Forge TV and Forge Radio, which have all won awards and been recognised nationally for the quality of their content. The media outlets were told by Union Officers on 15th July that the media hub would be shut down and converted into staff offices, meaning that all of the union media outlets would have to fit in to half the space they currently have. The petition launched by Forge Media, which now has over 1500 signatures, highlights a number of potential issues that could arise due to the reduction in the amount of space available to them, including potential overcrowding which could lead to some members having to be turned away. The petition also highlights the fact that the media outlets will lose half of their available computers if the Media Hub is closed down, which could impinge on the quality the newspaper. Polly Winn, current editor of Forge Press, told The Star newspaper that the idea Forge Media could function properly in a smaller space was ‘ridiculous’. 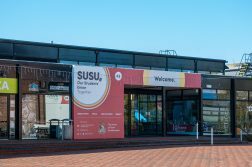 The president of Sheffield Student’s Union, Christy McMorrow, has responded to the campaign in an online statement, saying the union had no intention of impacting negatively on the university’s student media outlets. He added that although the union did have to find space for six new members of staff, the plans presented to Forge on 15th July were ‘not the final decision’, and that the union would work with Forge to discuss their future needs in terms of room allocation. The Student Publication Association has since released an open letter to Mr McMorrow, expressing grave concern at the proposals to reduce the space available to Forge Media and the effect that this would have on their output, as well as the wider student voice at the university. The letter also notes that concern has been expressed by an ‘unprecedented number’ of member publications across the UK. Forge say that they have since opened dialogue with officers at Sheffield Student’s Union through an ‘intense email campaign’, but are encouraging supporters to continue to sign the petition to convince officers at the union of the importance of student journalism. 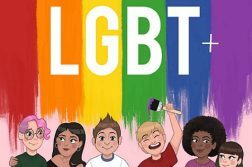 This article was updated on 20th July 2015 to include the contents of an open letter released by the Student Publication Association. Change the Union? Change the University? Change the world?